In the context of increasing regulation and cooperation between tax authorities, it becomes more difficult for banks, advisors and financial services providers to ensure faultless operations. In effect, it is nigh impossible to anticipate all potential risks of liability when the services are provided in the financial or consulting sector. In particular financial services providers, such as banks, financial advisors, tax advisors and consultants, when advising an international client base, run the risk of falling foul of national regulations that they did not anticipate. The mobility of clients, and the diversity of national regulations, make it an impossible task to ensure perfect service at all times. E&O insurance covers the cost of liability of companies. It protects the assets of the company from any claims directed against the company by clients or third parties. In addition, E&O insurance offers precious assistance during the pre-litigation and litigation stage, covering the legal costs and providing legal assistance at all times. 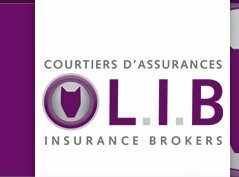 Directors & Officers insurance covers the potential private liability of officers and directors of companies in the exercise of their managerial duties. It protects the private assets of the individual director or officer. 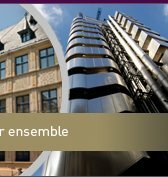 LIB is specialized in the set-up of comprehensive protection for professionals in Luxembourg and abroad.